The great 10:10 carbon cutting bake off! 1. Get your protein direct from plants and go vegan. Because rearing cows and chickens produces a whole bunch of nasty climate changing emissions, ditch the dairy and try beans instead. It's not as weird as it sounds, the beans subtly replace the milk, butter and eggs resulting in a smooth and rich brownie or blondie (depending on how much coco you use). And Emma baked that in the oven already warmed up to cook her dinner, clever! 2. Use seasonal, local produce. Whats got less food miles than your own back garden? 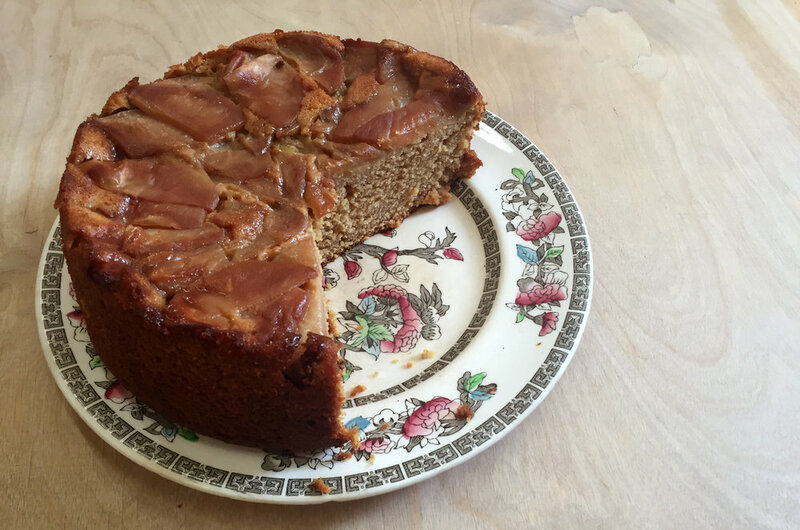 This yummy apple cake was made with foraged fruit from Esther's own garden in South London. Baking with seasonal and locally grown foods generally reduces the energy that goes into growing them and getting them onto your plate. If you're not sure what's in season check out this handy guide. 3. Be crafty with leftovers. This cake is a triple threat: not only does it use seasonal courgettes, it's vegan and made with leftovers! The best way to save energy is not use it in the first place, so waste-not-want-not and use what you got. 4. Be clever about energy use. These little balls of bliss are made without even turning on an oven. Considering ovens use significantly more energy than the hob or microwaves, avoiding it when possible seems like a grand idea. Another awesome way to low-carbon-bake is with a slow cooker. Using about the same electricity as a light bulb these snail-paced beauties can produce a showstopper Paul and Mary would be proud of. So, if you fancy a low carbon bake too do tweet us and we will give you a big 10:10 thumbs up!